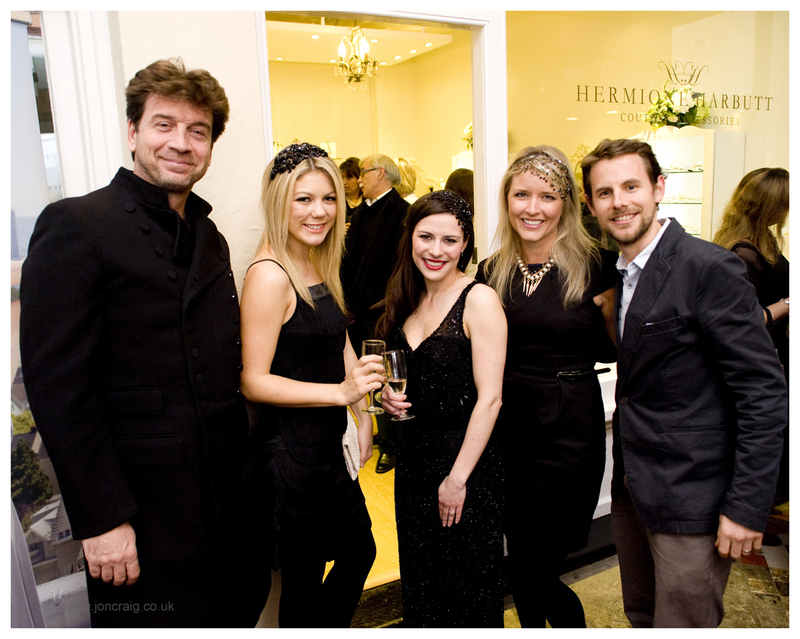 Recently Hermione Harbutt launched her stunning new showroom in Clifton Arcade to show case her beautifully intricate wedding and red carpet head pieces. 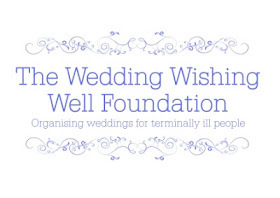 The cream of Bristol's thriving wedding industry were out in force to support Hermione as well as a few famous faces with DIY SOS presenter Nick Knowles in attendance with his wife Jessica. 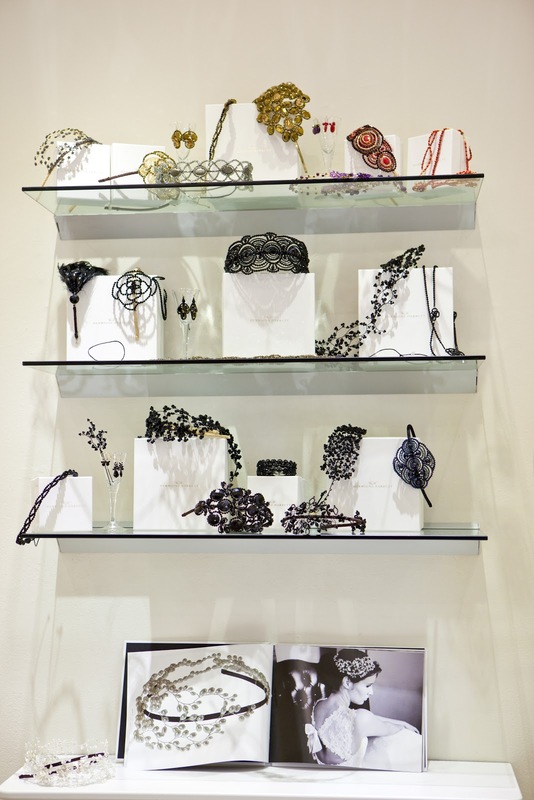 Hermione Harbutt is renown for creating exquisite bridal headdresses and jewellery of heirloom quality and is one of the most prestigious couture accessory designers in the UK. Designer to celebrities and guests of the Royal Wedding, as well as being chosen and endorsed by some of the world's finest bridal and couture designers, Hermione Harbutt pieces are the epitome of luxury and quality for the discerning woman. Musical entertainment was provided by the Marionettes who performed two acapella numbers. Guests mingled in the arcade as they sipped champagne or sparkling elderflower and nibbled delicious canapes. Many of the female guests had fun trying on some gorgeous sparkling head bands. The collection features a wide range of colours and designs. As with the bridal collections, inspiration was taken from bygone eras and applied to current colour trends to create modern pieces with a vintage feel. Large deco roses silhouetted against the hair, concentric circles of delicate beading and bright turquoise framed with gold and lapis are just a few styles of pieces available. The highest quality materials of Pearls, gemstone and Swarovski crystals are intricately laced together into unique, delicate designs. 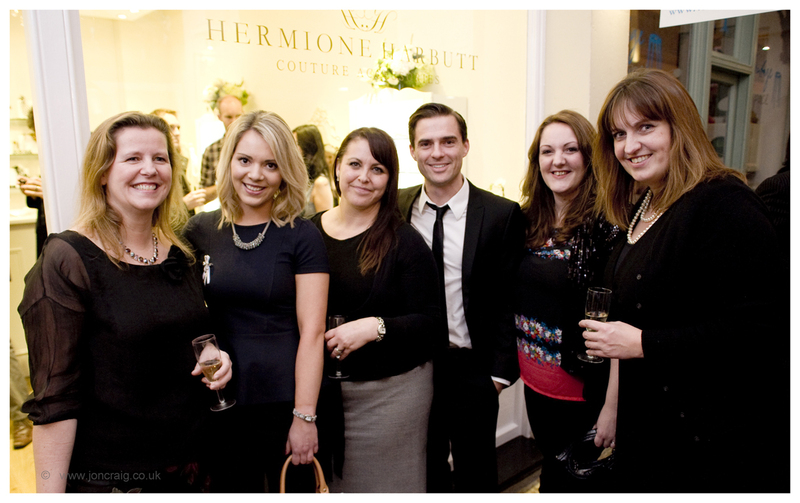 The new Red Carpet Collection was a natural follow on from the success of the Hermione Harbutt bridal collections to provide her signature designs to a wider collection of the women wanting to wear them. 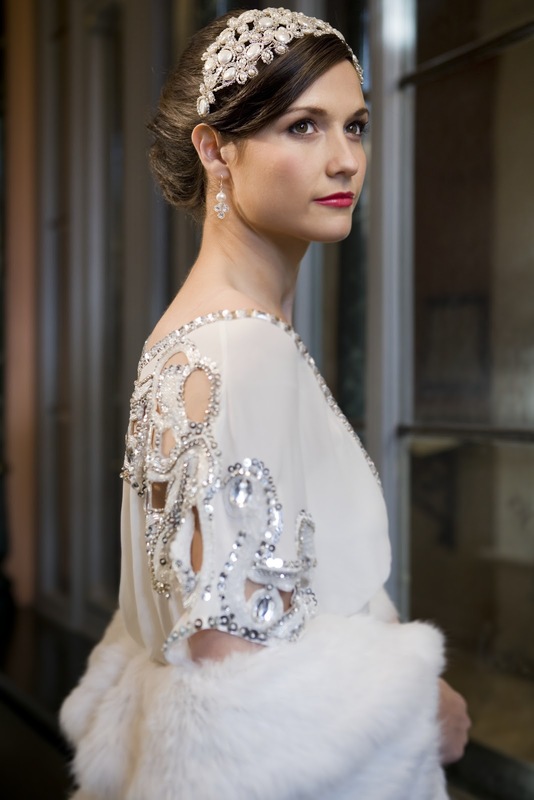 Ladies have repeatedly requested the bridal designs in a range of colours so 2012 brings a Collection specifically created in colour to provide that unique statement piece of couture to set ladies apart when facing the flashbulbs for Red Carpet Events. 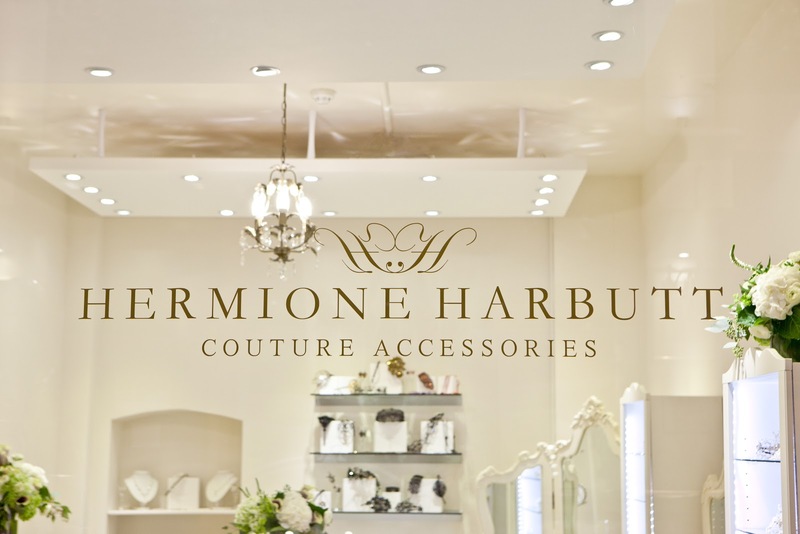 Now settled into the new showroom, a visit to Hermione Harbutt is a must for Bristol and Bath ladies searching for special occasion and bridal accessories with the wow factor. 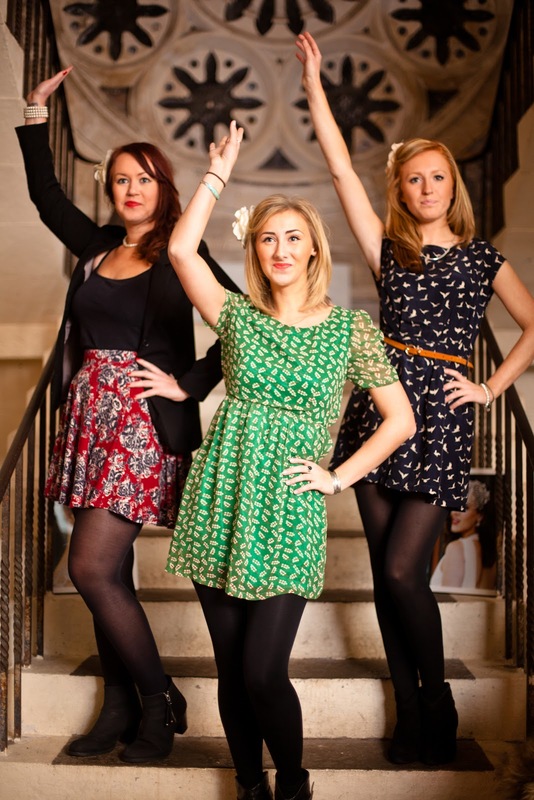 All images courtesy of Hermione Harbutt and taken by Jon Craig, Catherine Mead Photography or Rosie Parsons.